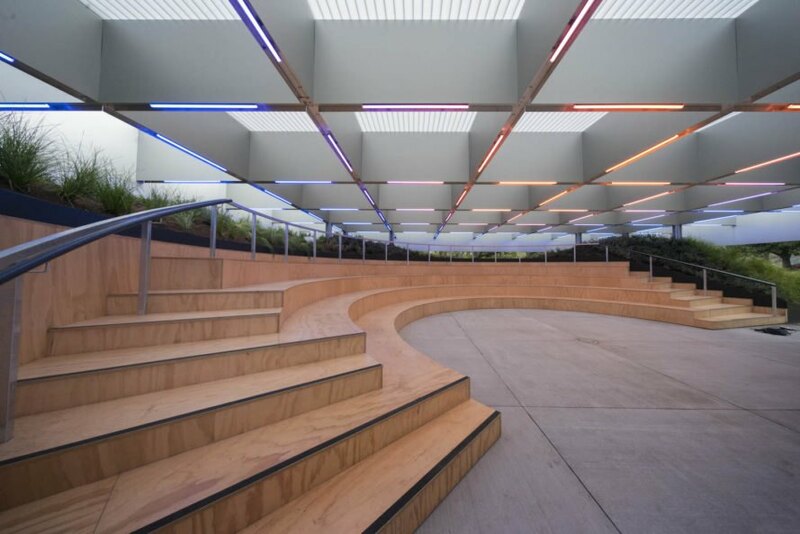 Melbourne is heating up for the summer with a new OMA-designed amphitheater. 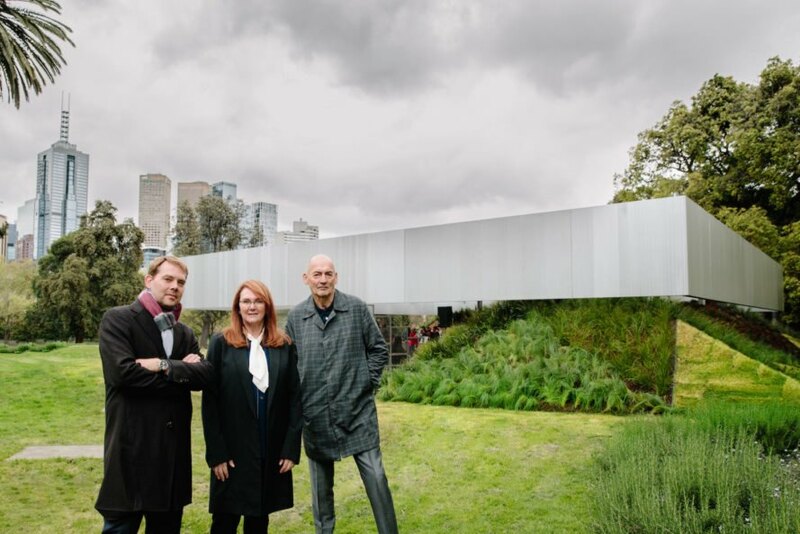 OMA founder Rem Koolhaas and colleague Daniel Gianotten just completed MPavilion 2017, a temporary pavilion that opened today in Melbourne’s Queen Victoria Gardens. 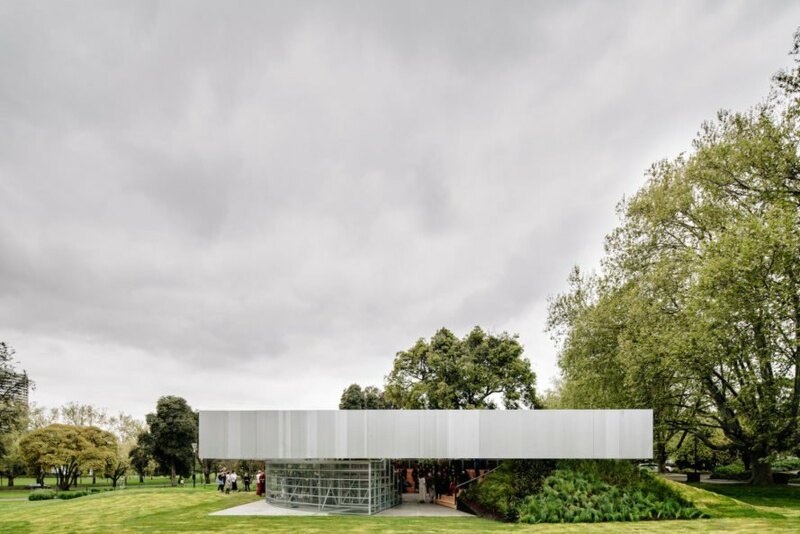 Commissioned by the Naomi Milgrom Foundation, MPavilion 2017 is the fourth annual architect-designed summer pavilion for the city and is OMA’s first Australian commission. The multifunctional amphitheater will host hundreds of free events throughout the four-month season. 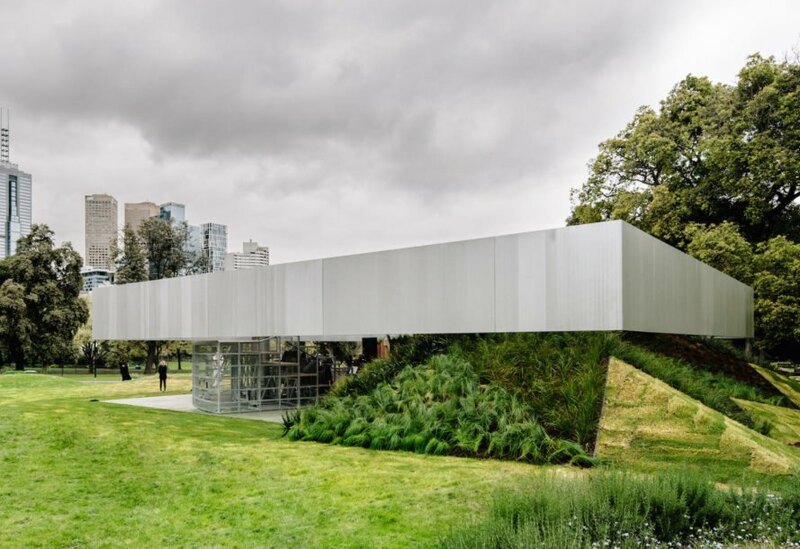 OMA designed MPavilion 2017 as a 19-by-19-meter aluminum-clad steel structure that transforms to accommodate a variety of unexpected programming. Surrounded by an artificial hill landscaped with native plants, the adaptable amphitheater comprises one fixed tiered grandstand and one moveable grandstand that rotates to open up to the park. The floating translucent roof is built with a two-meter-deep gridded, machine-like canopy with embedded advanced lighting technology. 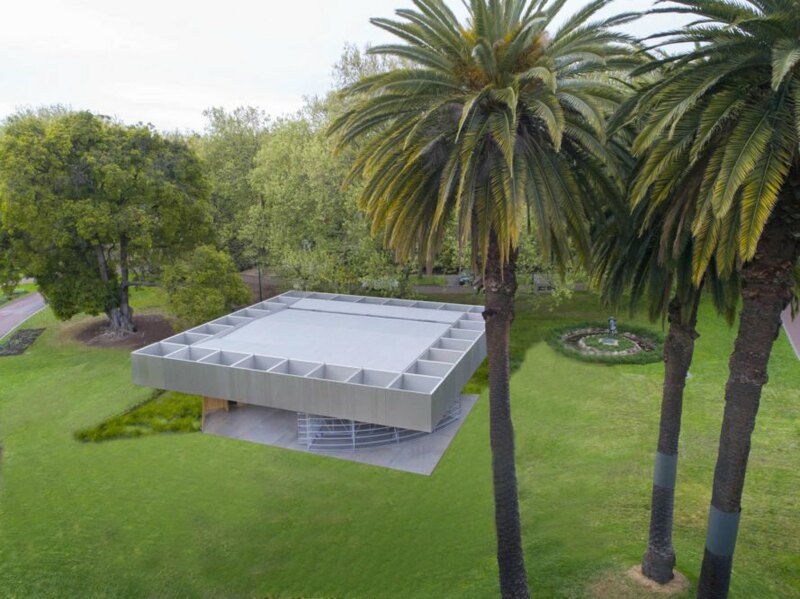 “Our design for MPavilion 2017 is intended to provoke all kinds of activities through its configurable nature and a materiality that relates to its direct surroundings,” said Rem Koolhaas and David Gianotten of OMA. “We are happy that MPavilion can perform as a theater of debate around the city and its development, and contribute to the ongoing civic discourse of Melbourne.” MPavilion will be open everyday from 9AM to 4PM until February 4, 2018. 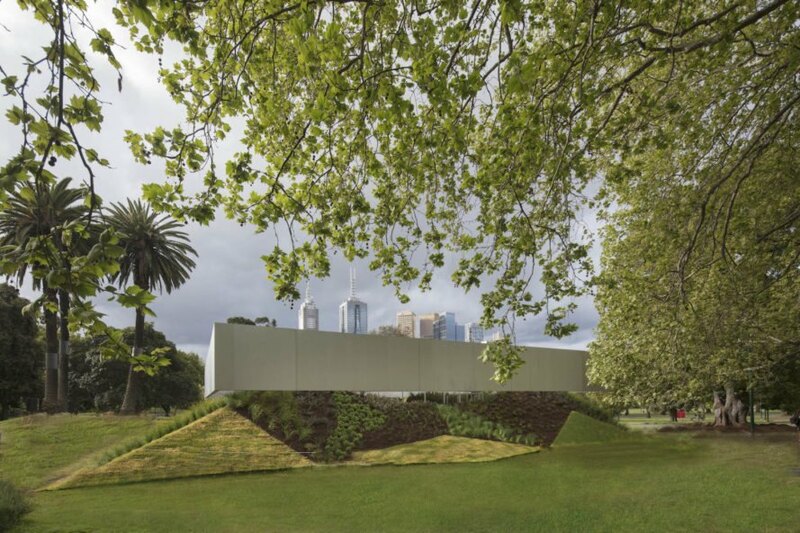 At the end of the four-month season MPavilion will be moved to a permanent new home within Melbourne’s Central Business District. OMA designed MPavilion 2017 as a 19-by-19-meter aluminum-clad steel structure that transforms to accommodate a variety of unexpected programming. Surrounded by an artificial hill landscaped with native plants, the structure comprises one fixed tiered grandstand and one moveable grandstand that rotates to open up to the park. The floating translucent roof is built with a two-meter-deep gridded, machine-like canopy with embedded advanced lighting technology. MPavilion will be open everyday from 9AM to 4PM until February 4, 2018. 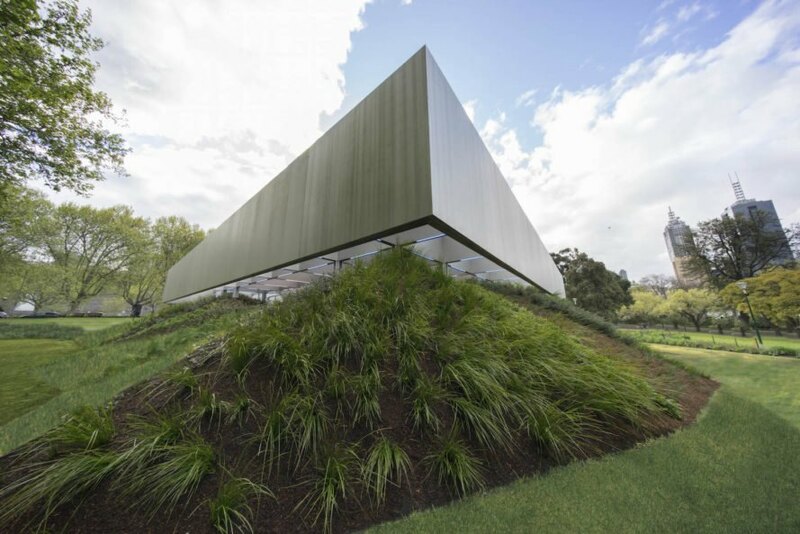 At the end of the four-month season MPavilion will be moved to a permanent new home within Melbourne’s Central Business District.